Simple tip and trick for you today. 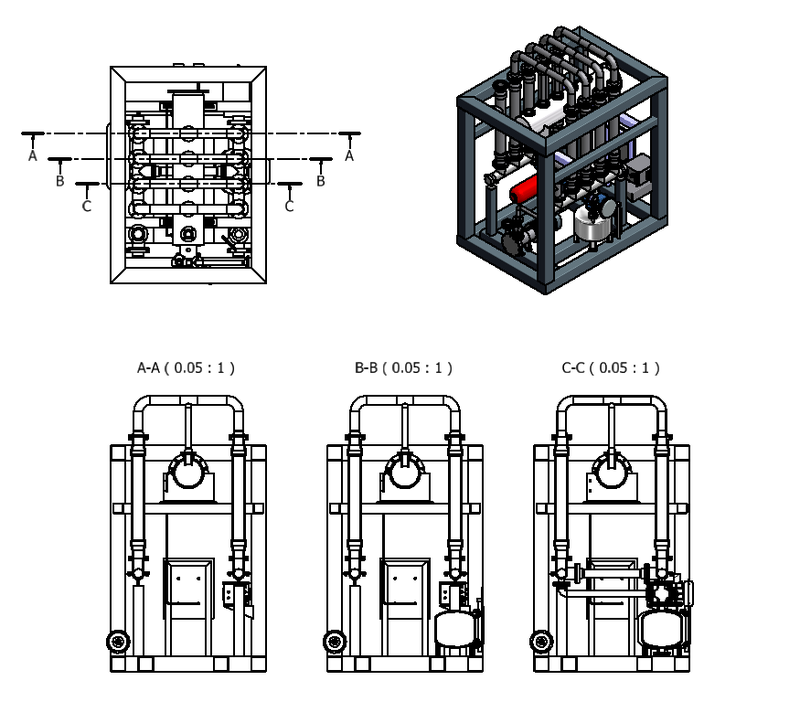 Modelling using Content Centre components, Inventor’s Frame Generator or Tube and Pipe modules makes quick work of what traditionally would be a very lengthy modelling process. By using content center controlled components you can very quickly build up complex models. 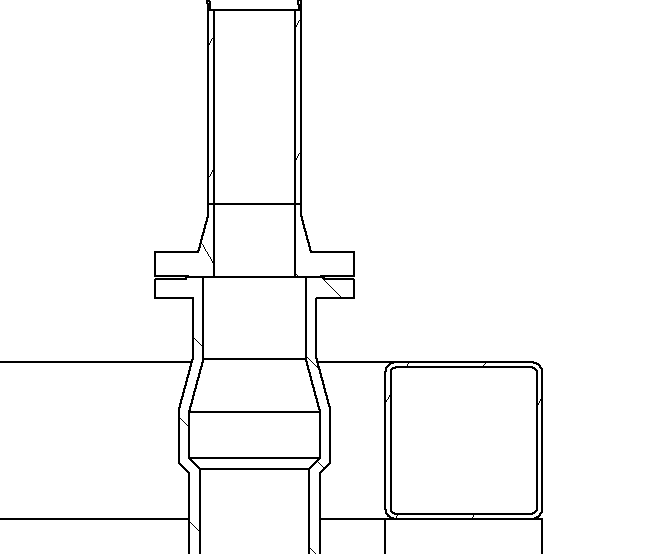 When you come to do a drawing of these assemblies (like the one above) they are full of ‘standard’ parts due to the fact they have come from the content center. 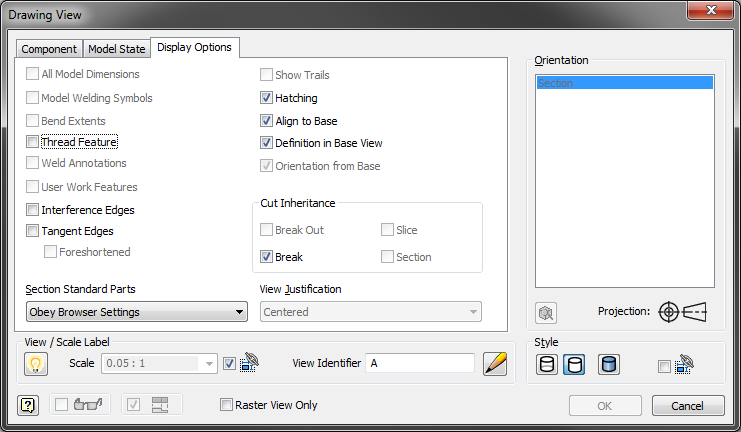 This has an effect when you section your drawing views as by default section views do not section through ‘standard’ parts. Useful normally as you don’t want your nuts, bolts and washers being sectioned, but you sometimes do want your frames and pipe work. Section A-A is using the default option which is ‘Obey Browser Settings’, so by default on pipe work created through the tube and pipe module or any frame members are not sectioned, but it gives you scope to change them. 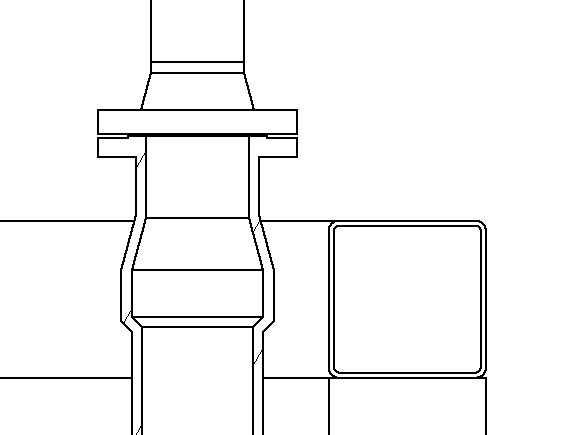 You can see that in the above view the top flange and pipe work is not sectioned, neither is the frame member coming towards the screen on the right. The ‘Obey Browser Settings’ option allows you to add specific components to the section from within the browser. Expand the View and find the component you want to add to the section. Right Click and add it to the section participation. Note this is how you would add or remove normal componets from the section view as well. If you have a lot of parts that you want to section this could take a while. Section View B-B has the Section Standard Parts set to Never, this means no matter what the browser settings are no parts that have come from the content center will section (ie it looks like the Obey Browser Settings before you make changes in the browser and doesn’t let you make changes, not sure why you would use this). The last Section View C-C has the Section Standard Parts set to Always. 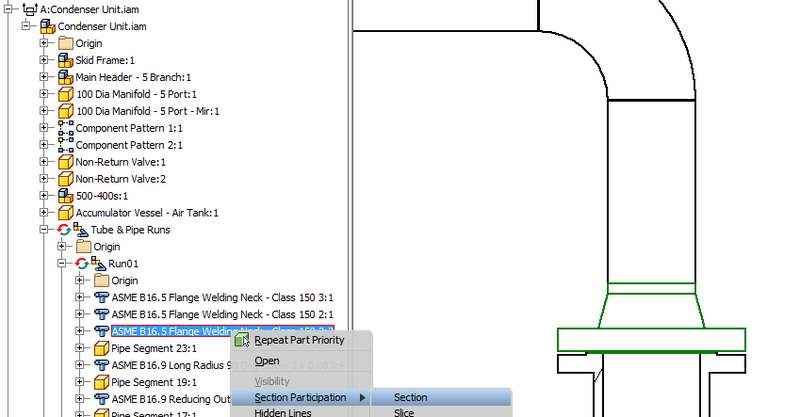 This means your section view will section all standard parts. For both the Always and Never options you cannot control whether individual ‘standard’ parts are part of the section or not so all of them are sectioned and you cannot change that.